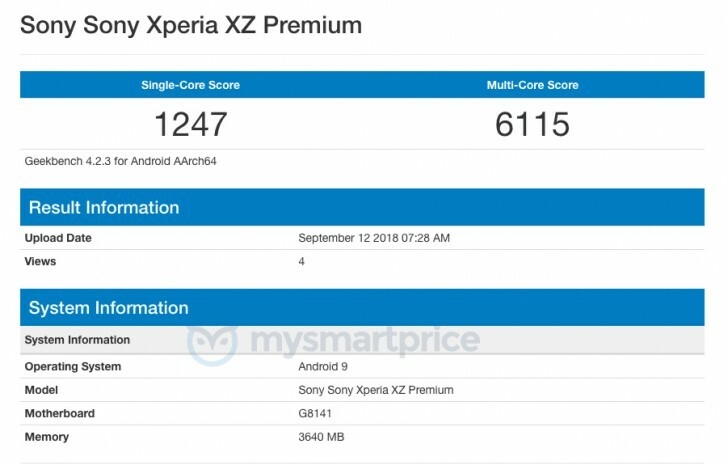 The Sony Xperia XZ Premium is the oldest model in the company’s lineup that is on the path to an Android 9.0 Pie update. The official schedule puts the release date sometime in November. The new software was spotted taking its tentative first steps, running a Geekbench test. The single core result is lower than what the Snapdragon 835 pulled off while running Android Oreo (the score should be in the 1,900 range), so it’s clear the software isn’t ready for prime time. All Xperia XZ models after the XZ Premium will be updated to Pie. Also, check out Sony’s official software support timeline, it promises 2 years of major upgrades. Thus cell is top notch, selling liks hot cakes online.